During June Dairy Month, several farmers in Wisconsin give residents the chance to visit a farm by hosting dairy breakfasts. Attending a dairy breakfast is a great family activity so this past Saturday morning we took a trip and enjoyed a yummy breakfast of dairy products including eggs, sausage, pancakes, cheese, yogurt and more. After we finished eating the kids visited the petting zoo area and my daughter and I rode in a wagon pulled by a team of horses. 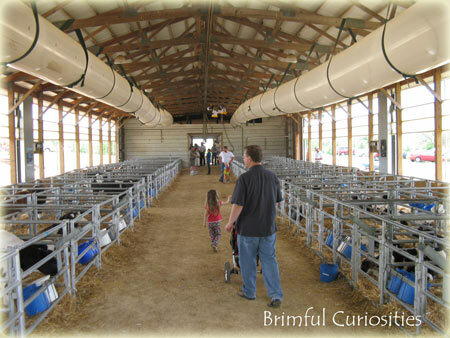 We also made sure to check out the facilities - this particular dairy farm sells calves and had over 800 calves for the kids to visit and see up close. That many calves means a lot of bottles! Oh wow that is so cool! I bet your kids loved it too! How awesome! That's really cool. Great photos! Wow- that looks fun! 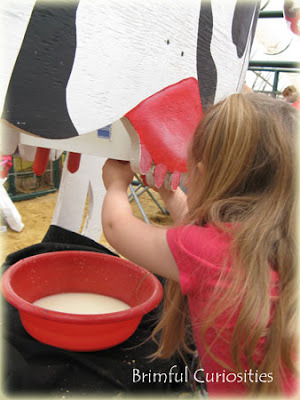 I'm sure my older kid would get a kick out of "milking" the cow! We have similar events here. It's a lot of fun. That's awesome! I didn't know they had that here! I am definitely bookmarking this. What a cool event. 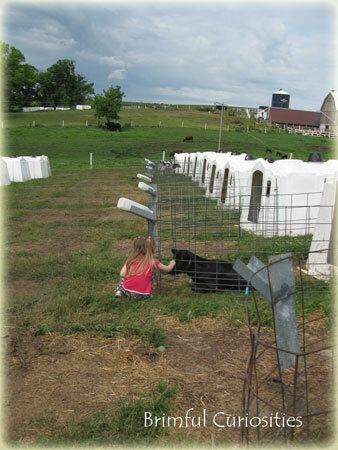 We're doing are best to line up a dairy field trip - but that just sounds like fun! What a neat experience for the kids! My girls would go nuts over the calves, my husband- the food! That is a really wonderful idea and the kids must have had a blast! I'm going to look up locations near me! that is a great day and wonderful learning..
this is so cool, I am so checking this out! I bet you and the kids had a lot of fun. I remember hearing about these when I lived out there but I never attended a dairy breakfast. There is always a lot of fun activities going on in for June Dairy Month. I sure miss Wisconsin summers. That's a fun trip! We have something similar at our zoo, but this looks more fun! What a fun morning! 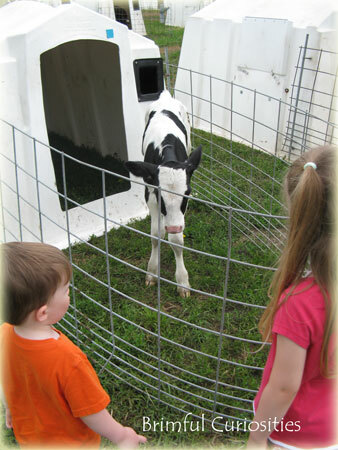 We spent a night at a working dairy farm/B&B in PA last summer and it was a preschooler's paradise. I'm hoping to go back again soon. How fun! I think we might need to do that! excellent learning experiences form kids. What a great way for the family to spend the weekend together! Love it!